Yesterday our pet ferret died. Early yesterday morning, my son had gone to clean Dante’s cage, but Dante seemed lethargic and disinterested in coming out to run around while my son did that chore. 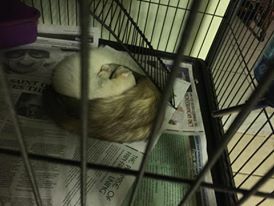 As a matter of fact, he seemed to be more interested in napping, which wasn’t unusual as Dante, like most ferrets, was more active at night….and as usual, Dante had been pretty active just a few hours before, so neither of us thought much of him wanting to nap. So my son did a quick wipedown of the cage floors, put out food, water, and a clean blanket, and left for school. About an hour or so later, I’d noticed that Dante still hadn’t moved to eat or drink, so I nudged him. 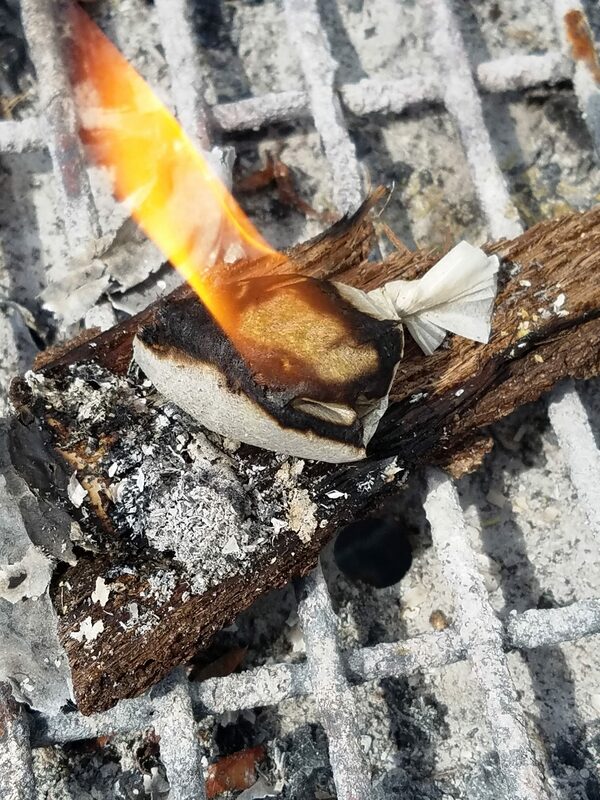 Though he was still warm, he had passed. 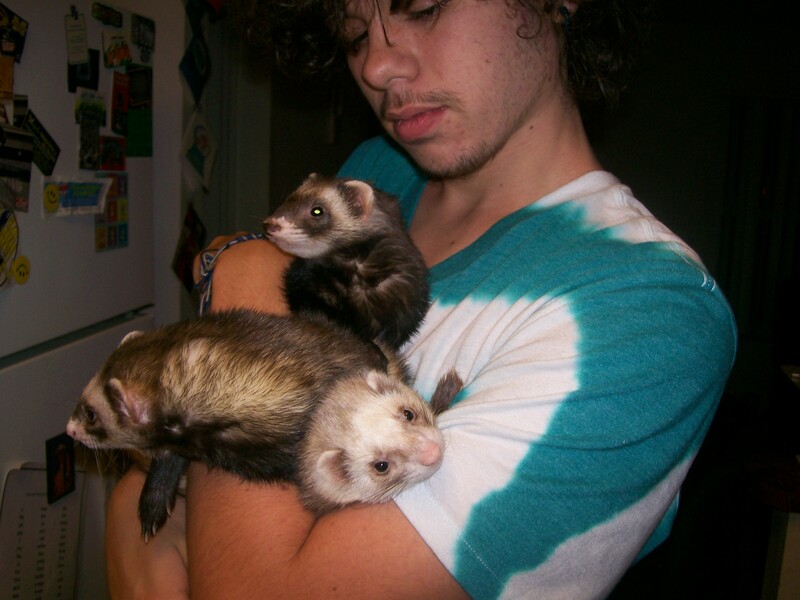 Dante was the most recent ferret we’d had in a long line of ferrets. You see, we’ve had a good half-dozen ferrets in the last 10 years. 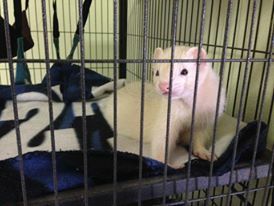 If you haven’t guessed, ferrets are social creatures who thrive on having company – the more the merrier. As well, I am not ashamed to admit that I cried as I dug the hole this afternoon, and I cried as I wrapped Dante in his favorite blanket, and buried him three feet to the left of where Jameson lies beneath the bed of dark pink periwinkles. 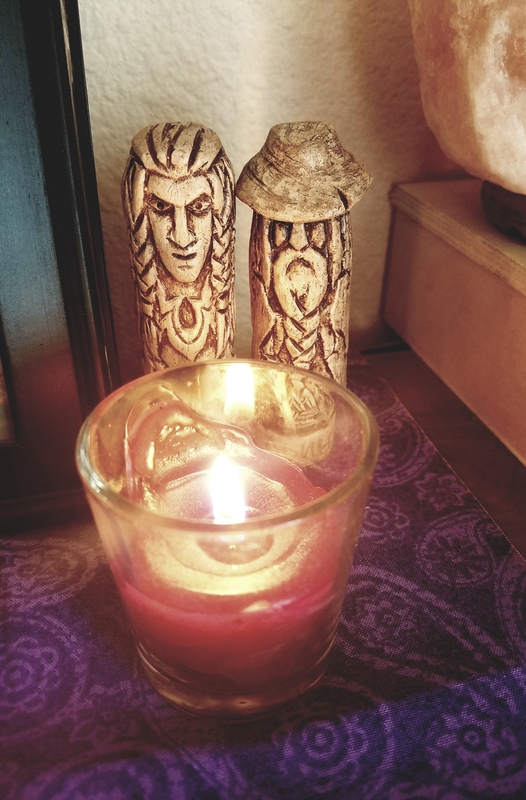 Am I foolish to have wanted to send him off with a proper farewell – making prayers and burning incense? Am I foolish to plan on planting flowers – violets and periwinkles – once rainy season comes? But today I am both sad and foolish.